Once upon a time, sports in this town and state were all but ruled by a short list of top sportswriters and sportscasters. One of the biggest of the latter was Doug LaMear. His death Monday at age 93 stirred lots of memories in those who watched Portland TV in its formative years. Count me in that group. I was a city kid who gazed at the black-and-white (and then color!) tube in wonderment — and admired the work of LaMear about as much as that of Roy Rogers and Sheriff Andy Taylor. TV really was must-see back then. On Sunday nights, you simply had to see The Ed Sullivan Show, for example. The rest of the week, if you wanted to know who won the baseball games that day, you had to watch the local evening news till the end and then stay up late at night for the next edition. You relied on LaMear, a pioneer along with KOIN (6) sportscaster Johnny Carpenter and Jimmy Jones of KPTV (12), to deliver the scores of the ballgames, along with all the high school results, and tell you who was leading the Masters, etc., etc., etc. You watched LaMear's sports report as closely as you could so you could figure out who was leading the National League, and then you devoured the newspaper the next day or listened on morning radio to the likes of Darrell Aune for more and updated information. LaMear was straightforward in his presentation but also not afraid to call things the way he saw them. "He had a newspaperman's mentality," recalls Jeff Wohler, retired sports editor of The Oregonian. "He didn't just read the scores, he went out and broke his own stories, offered his own commentary." LaMear got around. Local sportscasters used to do that. And his years of calling University of Oregon football play-by-play and then hurriedly turning the edited film into a condensed version of the game for a one-hour, late Sunday afternoon telecast was ahead of its time — and an absolute must-see. Producing those Ducks broadcasts was a physical challenge in more ways than one. LaMear and his cameraman, typically Eric Johnson, often had to battle the elements atop or in a press box. But it was a labor of love. One of my contemporaries, Kevin Flink, longtime operations manager at KBPS (1450 AM) and local public-address announcer, served as football statistician for LaMear in 1973 while attending Washington State. "It was an incredibly cold day at Martin Stadium," Flink says. "The snow started falling during the first half, and by halftime the field was white, snow was blowing into the open-air press box and the temperature was dropping. It was so cold, we were stuffing cards and paper into our shoes to keep them as dry and warm as possible. "Through it all, Doug was a total pro, didn't whine about the conditions, and even gave the Portland kid who was doing stats for him some advice about getting into the business." After serving in World War II aboard the USS Franklin (and surviving a harrowing Japanese air strike), LaMear's career began in Albany. It hit the big-time, though, starting in the 1950s with KGW Radio and then KGW (8), which hired him as its full-time sportscaster in 1956. He was perhaps best known as being part of a blockbuster KGW-TV news team that included future Gov. Tom McCall, Richard Ross, Ivan Smith and meteorologist Jack Capell. "Being with that group was unreal," LaMear often said. LaMear took a turn serving on the Exposition-Recreation Commission, a very powerful group that managed the local facilities. 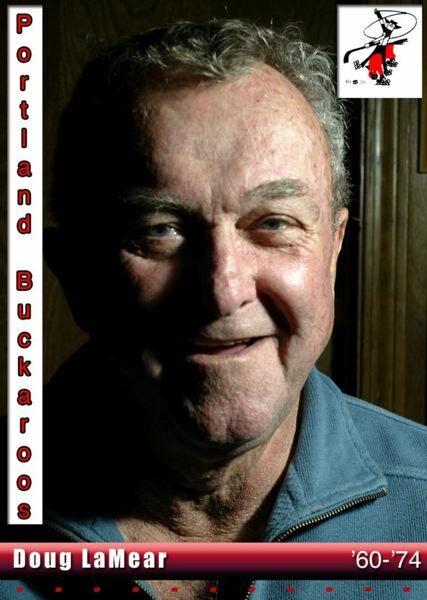 He was once president of the Oregon Sportswriters and Sportscasters Association, a key vehicle for TV, radio and newspaper sports coverage and also an early sponsor of the Bill Hayward Banquet of Champions, now the Oregon Sports Awards. 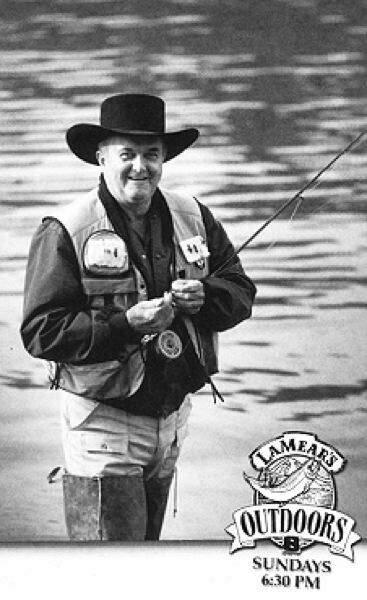 LaMear covered everything in Oregon, from local golf to hockey's Portland Buckaroos. And he was just as successful and popular as host of "LaMear's Outdoors," a fishing and wildlife show. LaMear retired in 1991, after 35 years as sports director at KGW. In 2006, he became the third broadcaster (following Bill Schonely and Bob Blackburn) to be inducted into the Oregon Sports Hall of Fame. LaMear grew up playing baseball and caddying at Waverley Country Club. He lived in a house alongside the club's 16th hole, but was a prominent figure at nearby Eastmoreland Golf Course. For years, he was a regular on the Eastmoreland putting green, where wagers in contests with the flat sticks were common and sometimes legendary. "Best putter I have ever seen, pro or amateur," recalls Greg Crawford, another Southeast Portland sports aficionado and Eastmoreland golfer. "He'd wind up with pockets pull of quarters. He was a solid member of the Eastmoreland men's club and big advocate for public golf." "He was a good golfer," said Bob Robinson, former golf writer at The Oregonian. "He admitted to me one time that he occasionally would climb a fence late in the day and play a few holes at Waverley. He said he never got caught." The busy broadcaster helped institute the Doug LaMear One Club tournament, an event that was resurrected last year by former PGA Tour star and Lincoln High grad Peter Jacobsen and his brother, David. LaMear wasn't always warm and fuzzy. He was highly opinionated and could rankle even his closest friends. He could make you laugh and burn at the same time. "I always enjoyed Doug's dry wit and his talents as a sportscasting pioneer," says a former KGW anchor Pete Schulberg, perhaps putting it mildly. LaMear wasn't shy about chiding those in charge when he thought a situation called for it, such as offering critique on the condition of Eastmoreland if he felt the course needed better maintenance. All of the above could make him a bit of an intimidating figure, especially to the likes of a young pup like me. But I was fortunate to share one hobby with him, and it gave me a chance to not only hear some of his stories but also learn how to humor him — as his beloved table-top baseball team of all-time greats was knocking mine farther down the standings. One of LaMear's passions was Strat-O-Matic baseball, and playing it with cronies. Our infamous Rose City Baseball League games at the Leaky Roof (with Schulberg and other writers and broadcasters) were the stuff of legend. They could be as competitive and intense as any Blazers game. And heaven help the poor dice if they didn't get LaMear's Ty Cobb on base often enough — they might just wind up at the bottom of the Willamette. "What fun Doug's 'Sellwood Sharks' brought to our 35 years in the Strat-O league," Schulberg recalls. I think that's perhaps the best tribute to LaMear. Those were good times and, man, we had fun. I think he enjoyed the games, the broadcasts, the coaches and players (most of them), the golf and the camaraderie. And I think he'd want you to remember to enjoy it all, too.